(1). 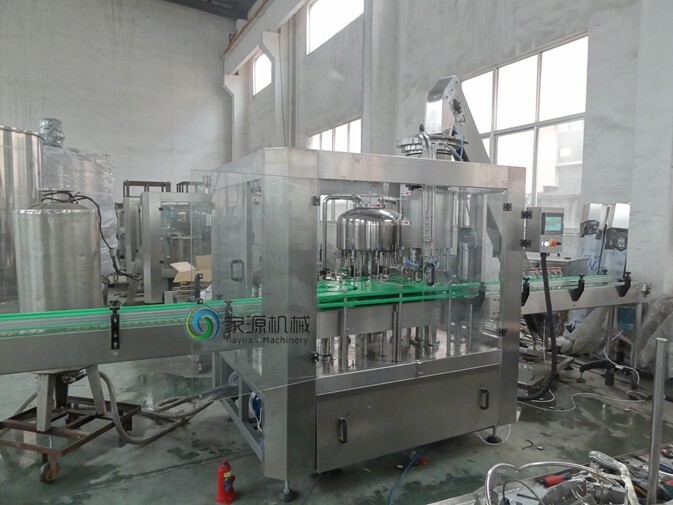 The 3000BPH Glass Bottle Juice Filling Machine Hot Filling Machine With Twist off Cap is mainly used in the high temperature juice filling operations in glass bottles with twist off cap or iron caps. The three functions of bottle washing, filling and capping are composed in one monoblock. The whole process is full automatic. 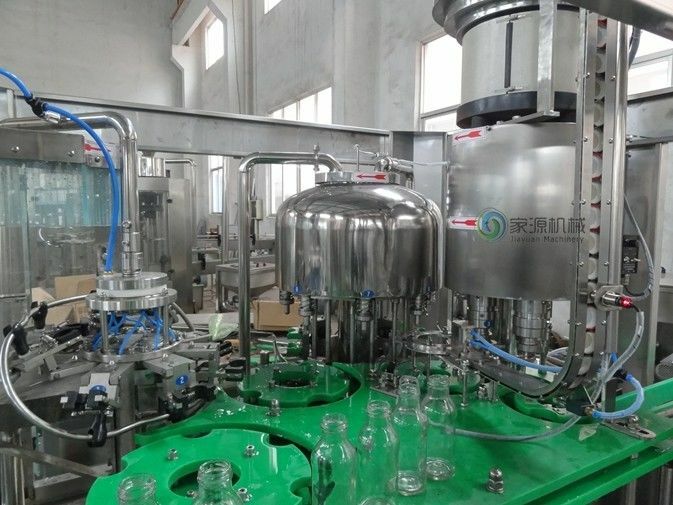 The first rinsing machine is pure water rinsing machine, the bottle will be cleared after the rinsing machine. (2). 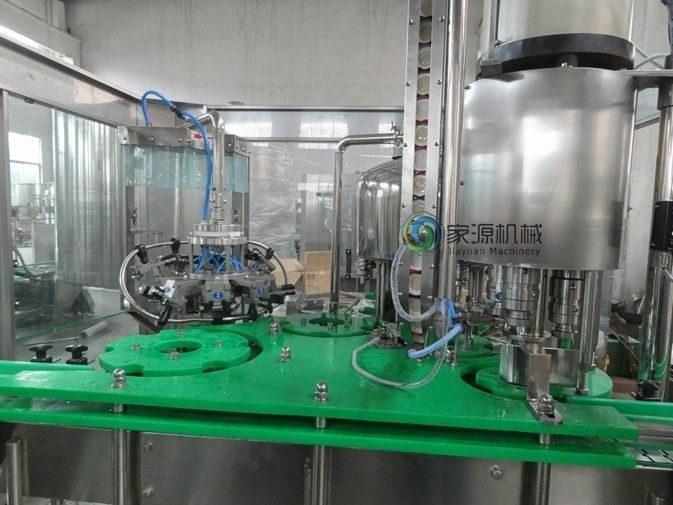 The Glass Bottle Carbonated Beer Drink Filling Machine is used for filling hot juice in glass bottles with twist off caps. 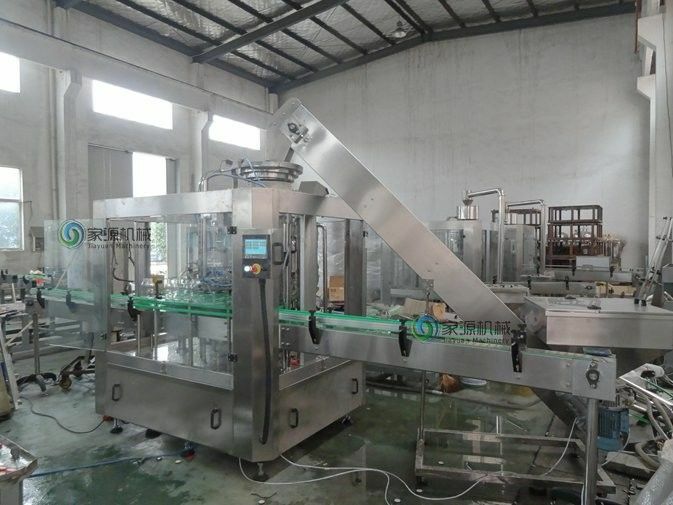 The machine can also be used for glass bottle water filling. 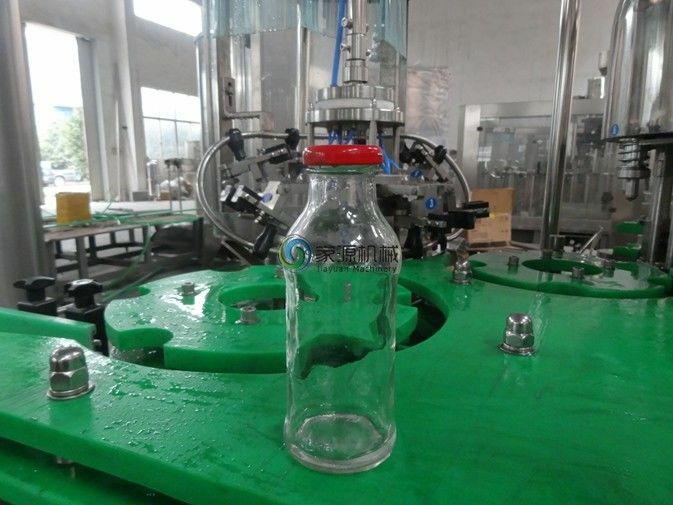 The handle of the machine can be freely and conveniently turned to adjust the machine to fill various types of bottles. 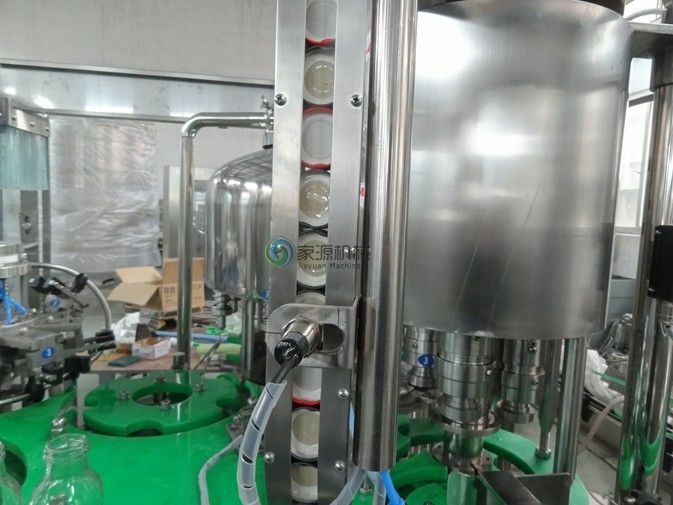 This 3000BPH Glass Bottle Juice Filling Machine Hot Filling Machine With Twist off Cap can be used for filling hot juice into glass bottles with twist off cap and iron caps. So this machine has three steps, first is washing, second is filling, third is sealing the bottle with twist off cap.